We are organizing a summer school for graduate students and early career scientists on Fundamental Aspects of turbulent flows in climate dynamics, to take place from July 31 through August 25, 2017 at the Ecole de Physique in Les Houches, in the French Alps. The program will feature international renowned principal lecturers and visitors. Overviews over these themes will be provided by the principal lecturers Paola Cessi, Henk Dijkstra, Stephan Fauve, Raffaele Ferrari, Isaac Held, Caroline Muller, David Romps, Ted Shepherd, and William Young. In addition, there will be 10-12 seminars by invited speakers on current research in these areas. The Ecole de Physique in Les Houches has an illustrious history of hosting programs in the physical sciences going back to the 1950s. 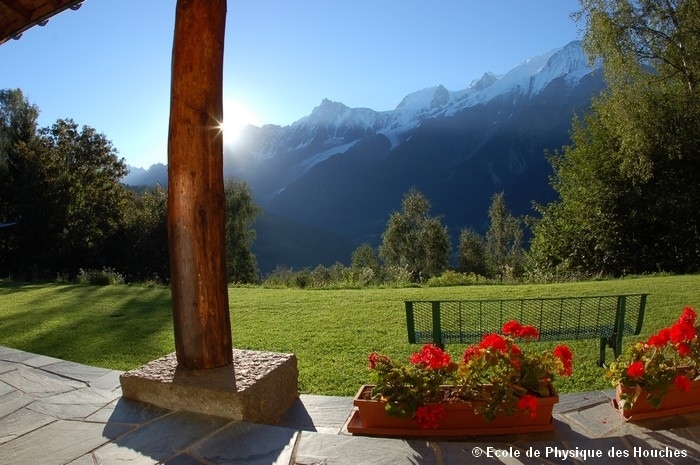 The school occupies an ensemble of chalets in the beautiful Chamonix Valley. It is not only an ideal setting for interactions among participants and lecturers, but also a gorgeous point of departure for hikes in the surrounding mountains. The summer school is aimed at graduate students and early-career researchers in physics, (applied) mathematics, engineering, the climate sciences, and related fields. A background in climate dynamics is helpful but not necessary. Summer school participants will interact with each other and with the principal lecturers, visitors, and staff in daily journal clubs and research meetings.